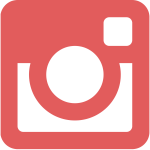 This is a sponsored post written by me on behalf of Handsome Brook Farm. I was compensated and received a product to try. I fully stand behind this product, and the opinions are 100% my own. 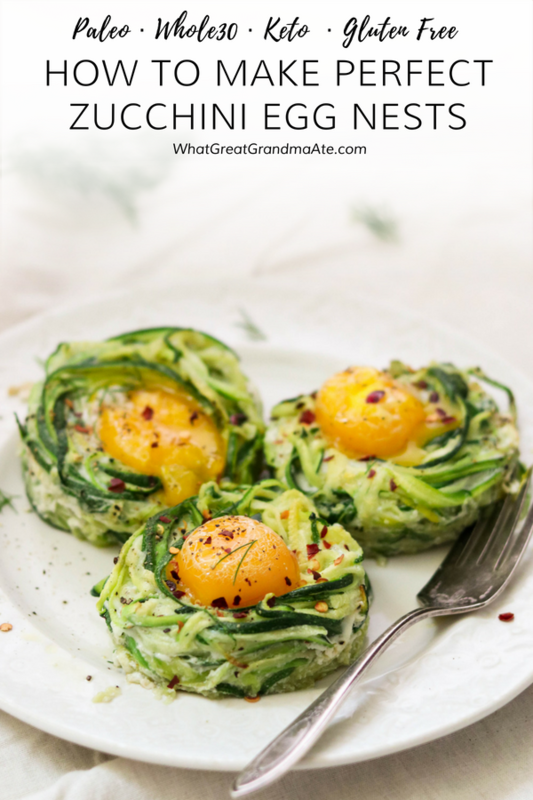 Learn how to make the perfect zucchini egg nests that are sturdy, easy, and so yummy! 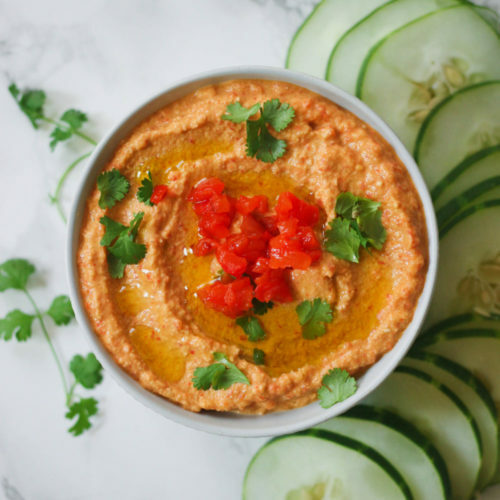 They are a healthy breakfast item that’s paleo, Whole30, and keto-friendly. Now that we finally moved into our new house (YESSSS), we are so excited to have get togethers with friends in our spacious home. Brunch is my favorite meal, so I’m thinking I need to host more weekend brunches for me and my girlfriends over the summer. 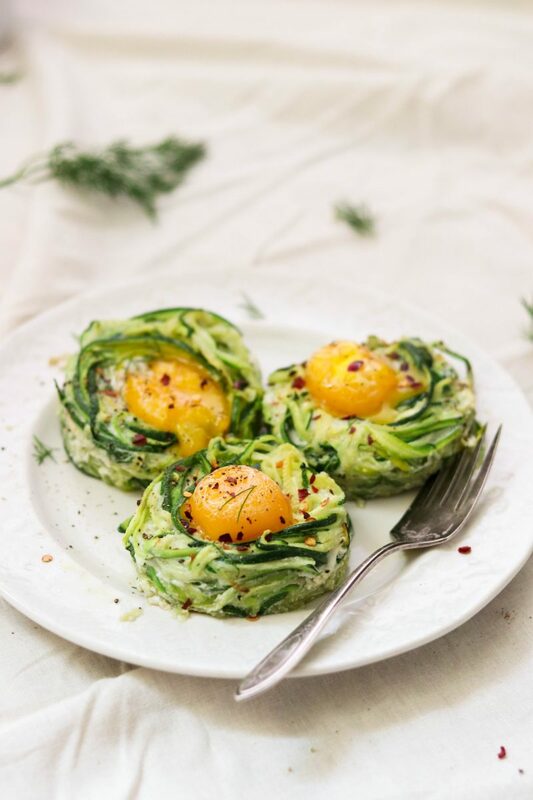 Whenever I host, I’m always looking for new recipe ideas that are fun and delicious, and zucchini egg nests have recently been on top of my mind to perfect. I’ve been refining this recipe over and over again because they have come out too watery or too weak to hold their shape while eating. Well, after several attempts, I think I finally found a method to making the perfect zucchini egg nests that are not only so pretty to look at (yes, that matters! ), but also sturdy, flavorful, and really easy! After you make it this way, I don’t think you’ll go back to any other method. It’s seriously comes out perfect every time. One of the most important part of making the perfect zucchini egg nests is to first sweat the zucchini to squeeze out as much moisture as possible. Without this step, they can come out watery or they won’t be sturdy enough to comfortably eat without falling apart. And another bonus to this method? You end up eating way more veggies in the process because the zucchini will shrink down to half their size after the moisture is squeezed out. Another step that took my zucchini egg nests to the next level is separating the yolk from the whites, then mixing the egg whites with the zucchini. It might seem tedious but this helps the zucchini firm up really well during the baking process, and makes the yolks pop in color. Lastly, use a jumbo muffin tin or a ramekin to help the egg nests hold their shape. This seriously helps so much! Before I get to the full recipe, I first want to highlight the importance of using the highest quality eggs for their nutrition profile, health benefits, and taste. Eggs are one of my grocery list items that I always try to purchase pasture raised, because there’s such a huge difference in quality when it comes to the different labels. My recent favorite brand is Handsome Brook Farm, because they are so transparent about how their chickens are raised which I respect so much. Their hens get at least 108 square feet per bird on rotated pastures, and they believe that the happier and healthier the hen, the tastier the egg. Pasture raised is the most humane for the hen and more delicious and nutritious for us! How awesome is that?? If you want to learn more about egg labels and what they exactly mean (and don’t mean), you can read my post here. 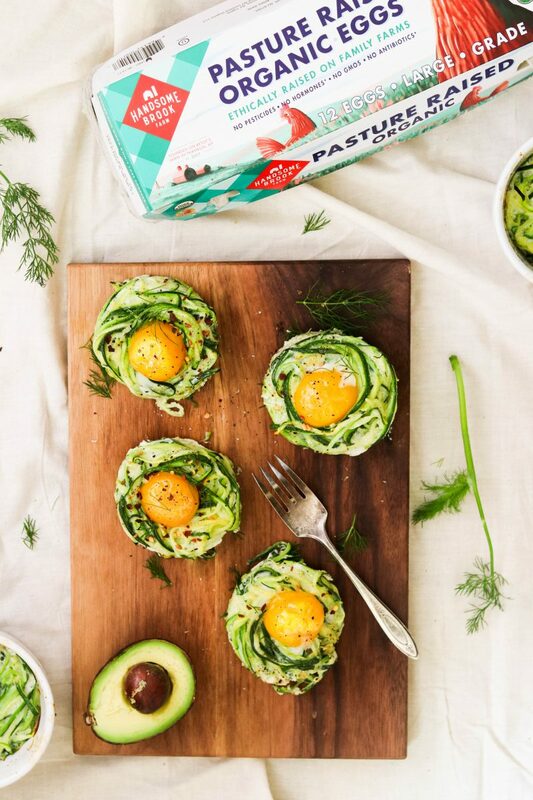 Now go pick up some Handsome Brook Farm Organic, Pasture Raised Eggs and make these perfect zucchini egg nests! I hope you enjoy them as much as I did. 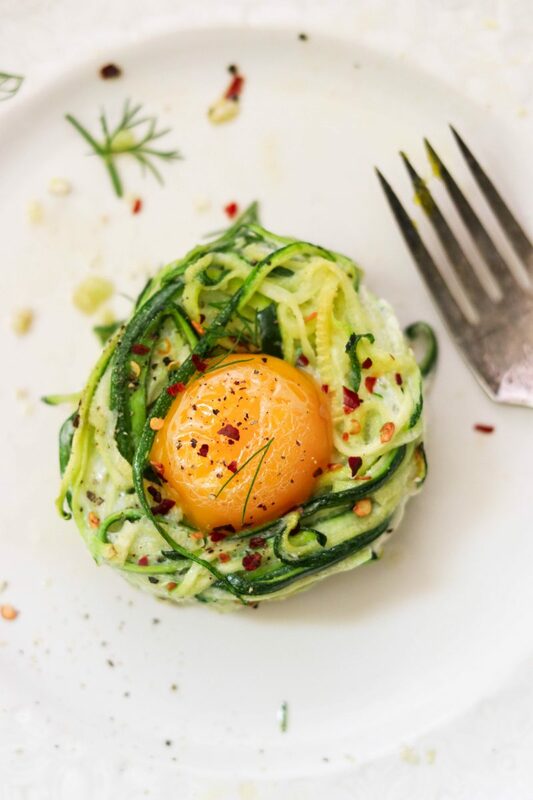 Learn how to make the perfect zucchini egg nests that are sturdy, easy, and so yummy! 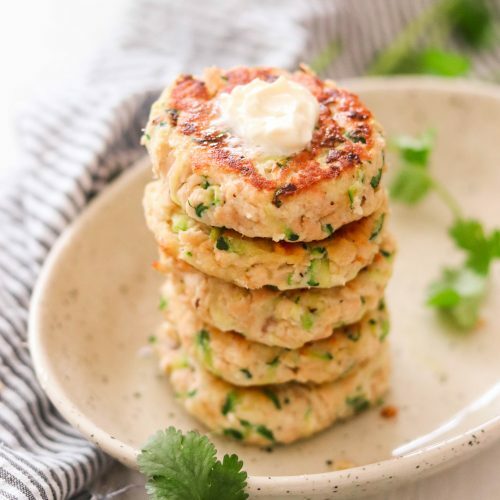 They are a healthy breakfast item that's paleo, Whole30, and keto-friendly. Use a vegetable peeler or a spiralizer to slice the zucchini in to noodles. Place in a colander over a bowl and toss with sea salt until evenly coated. Let the zucchini noodles sit for 20 minutes so they can sweat. Preheat oven to 400 degrees F, and use ghee or coconut oil to generously grease a 6-cup jumbo muffin tin or 6 ramekins that are at least 3.5 inches in diameter. Use your hands to squeeze the zucchini noodles to release as much moisture as possible. Place in a bowl and add garlic powder, onion powder, and ground black pepper. Carefully separate the egg whites from the yolk. The easiest way to do this is crack an egg into your hand over a bowl, then pass the egg yolk from one hand to another until the whites drip down between your fingers into the bowl. 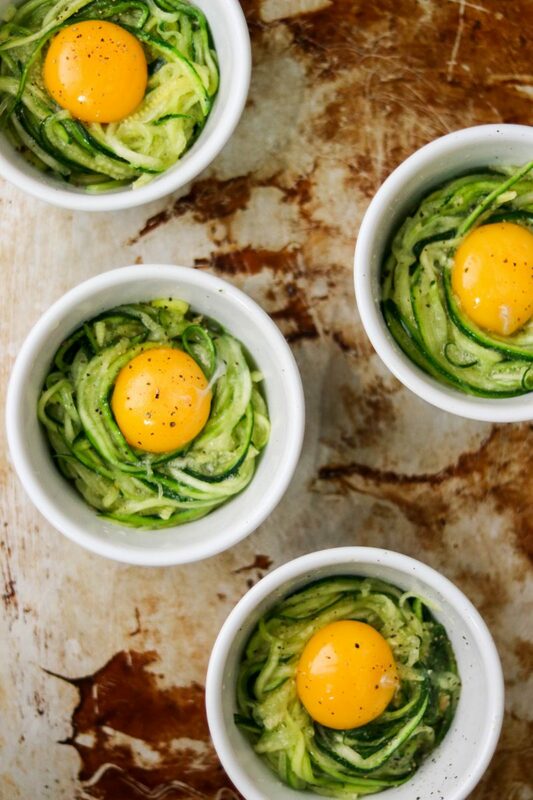 Place the yolks on a plate, and add the whites to the zucchini noodles and mix together. Divide the zucchini noodles into the prepared muffin tin cups or ramekins. Create a nest and leave an indent in the center. Carefully place a yolk in the center of each zucchini nest. Bake for 15-20 minutes until the yolks are cooked to your liking. 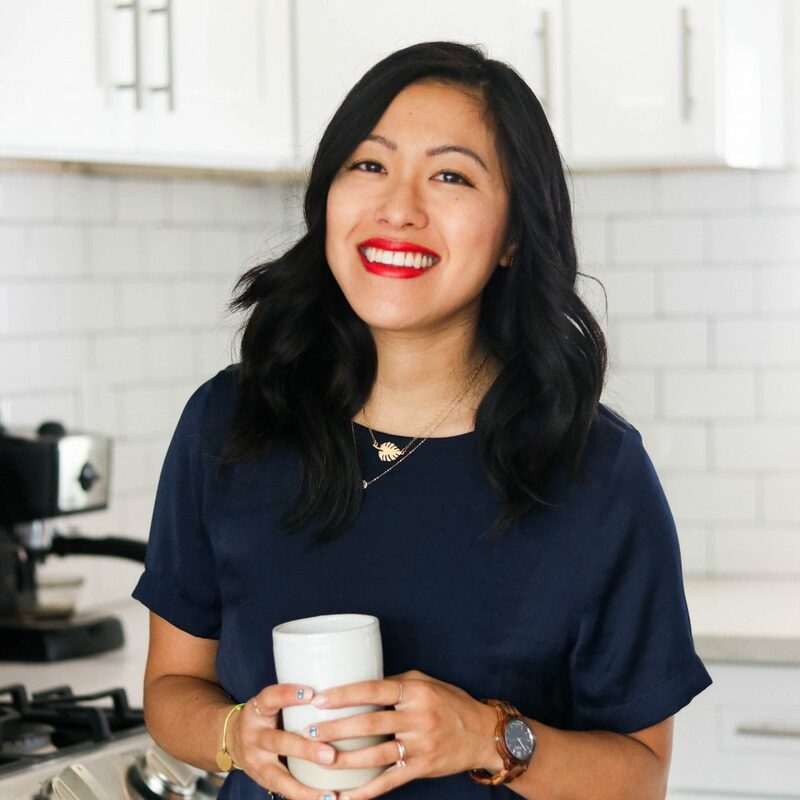 This entry was posted in 30 Minutes or Under, Breakfast, Keto, Nut Free, Recipe, RESTART Friendly, Snacks, Vegetarian, Whole30 and tagged eggs, zucchini on July 2, 2018 by Jean Choi. I made spaghetti nests before, but totally love this low carb version. YUMMY! Making this for breakfast tomorrow! THank you! Such a brilliant idea to make these in ramekins. I wouldn’t have thought of that and they turn out so perfect! They’re so pretty too! Excited to make these! Colourful low carb. High flavour!! Thanks for sharing. Need to pin this one and make asap!! These are so cute! I love veggies at breakfast and can’t wait to try these Jean! Those egg yolks are perfection. I cannot wait until our zucchini is ready in our garden so I can make these! 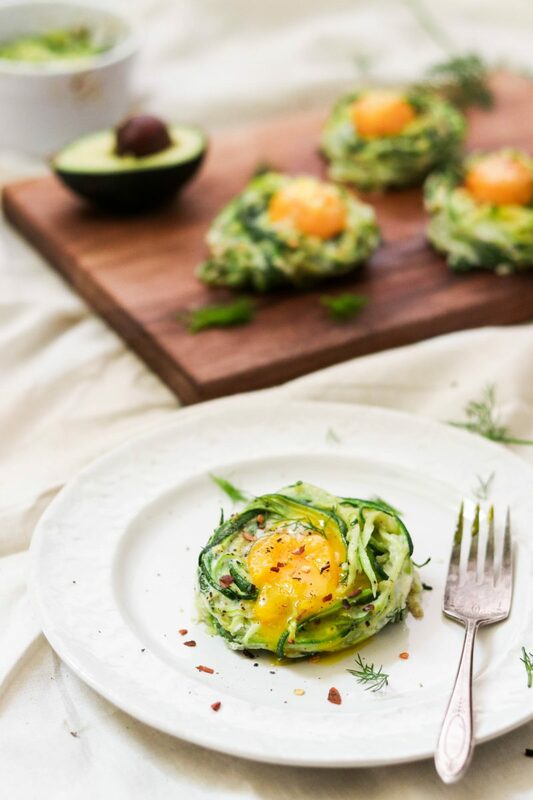 These zucchini egg nests are perfect looking! How creative. I love to have some for breakfast! 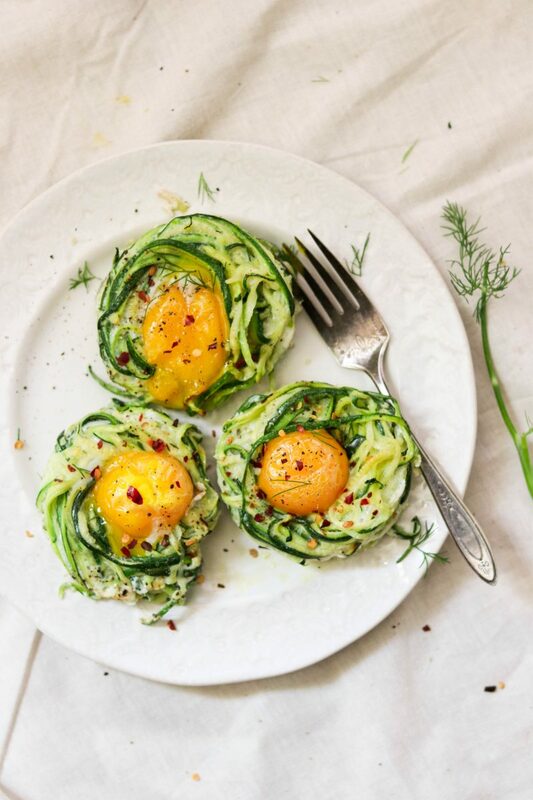 Very creative and pretty way to cook eggs and zucchini together. I’m always on the lookout for new breaky dishes, so will have to try these one day. Yum! These are so perfect for brunches, they just look so pretty! And not to mention they’re just in time for the crazy amounts of zucchini that’s starting to come on! These are so adorable and all of your tips for making the perfect nest are so helpful. Great idea to mix the whites into the zucchini! They look super sturdy! What a great idea! I love using zucchini noodles and I find that they have a very mild flavor. Everything’s better with an egg, right? These are adorable! And I have zucchini coming out of my ears! Congratulations on your cookbook. What a beautiful breakfast or brunch for entertaining! I keep saying it, but I really must get myself a spiralizer! I love zoodles. What an easy way to eat them. Thanks! So creative. They are so cute and super yummy, too ! Ohhh These egg nests are just so cute. What a great idea for breakfast. 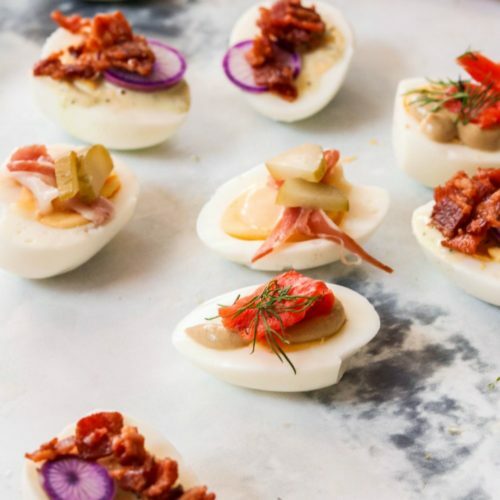 Never come across these egg nests before, love these ideas! So delicious. Totally making these! Love how easy and pretty they are!